Accor has opened its 14th Pullman-branded hotel in China. The opening of the Pullman Anshan Time Square property, in downtown Anshan, ranks China as the largest country market in the Pullman network. It now has 14 hotels in China, and will open a further 26 there by 2015. 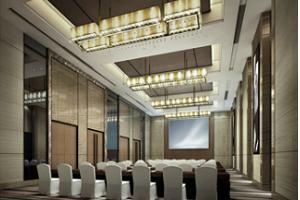 The 331-room hotel, in the north-eastern Liaoning Province, has more than 900sqm of meetings and events space. Six meeting rooms can accommodate from 16 delegates boardroom-style, to 140 attendees theatre-style. Meanwhile, the Wangfu Ballroom can hold up to 600 theatre-style. Meeting participants also have access to the Pullman Connectivity Lounge, developed in partnership with Microsoft, while the hotel's seafood restaurant features 25 private rooms. There are a further three bars and restaurants, as well as a fitness centre and swimming pool. Accor Greater China chief operating officer Paul Richardson said: "The opening of Pullman Anshan Time Square, the second Accor hotel in the city, is further strengthening Accor’s overall expansion strategy and opening up opportunities in first to third tier cities around the country."